Support our Movement. Show it off by sporting our swag. Your purchase is a donation to help grow our sustainable fashion Movement. Every dollar helps us make the invisible women who make our clothes visible and to educate shoppers to #wearyourvalues. Remake is a 501(c)3 registered nonprofit. 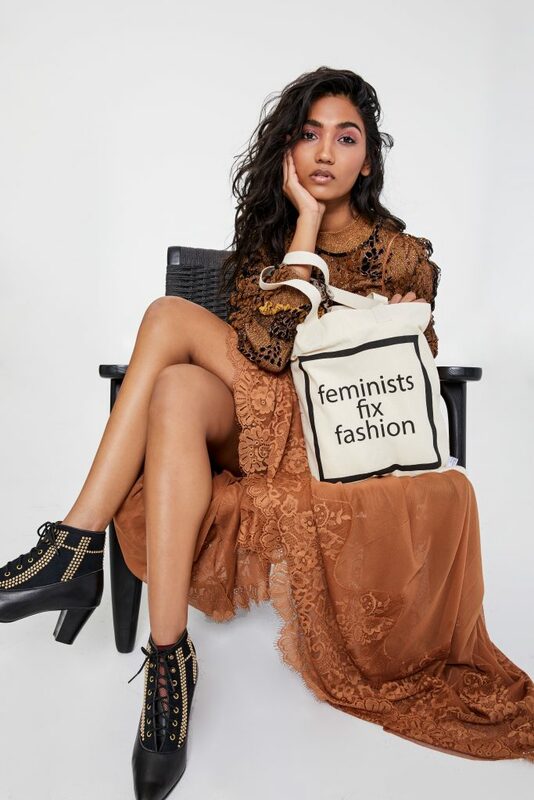 Express yourself with our Feminists Fix Fashion canvas tote; it’s eco-friendly and ethically made supporting marginalized women in India. This tote is perfect for travel and long commutes. 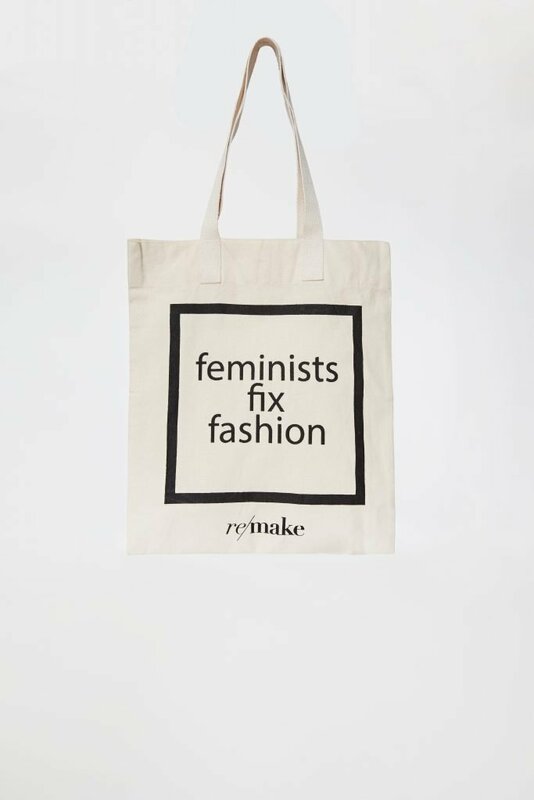 When you rock this tote, you’ll be sending the message that as feminists, we are here to fix the fashion industry.